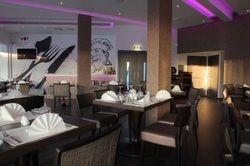 Abacus Restaurant is an upmarket looking venue with an extensive menu. It was fully refurbished in early 2012 with the addition of a lounge bar for pre or post dinner coffee or drinks. Located opposite Ayia Napa museum, Abacus is just 5 minutes walk from the centre of town and also 5 minutes from Ayia Napa harbour. It is open both day time and evenings during the summer months. Acropolis restaurant is open year round and is located on Nissi Avenue, around 15 minutes walk from the centre of Ayia Napa and the same distance from Nissi Beach. Acropolis serves Cupriot as well as international dishes and snacks and is open in the daytime and evenings. During the winter they often hold special buffet nights with singers and dancing. 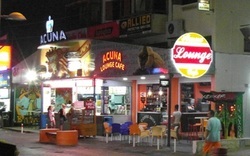 Acuna is right in heart of Ayia Napa, opposite Castle Club. Open from 6pm until 6am, Acuna's menu features all kinds of fast food and takeaway items including burgers, sandwiches and jacket potatoes. For 2013 a coffee lounge was also added. 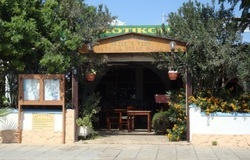 Agrotikon is open during the summer months for lunch and dinner and serves traditional Cypriot as well as International dishes. Located on the main road in the Macronissos area, Agrotikon is just a few minutes walk from Waterworld Waterpark. 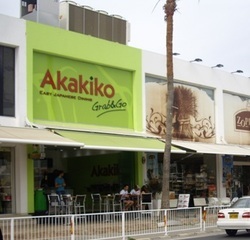 Akakiko opened in Ayia Napa in 2012 and also have branches across Cyprus. It offers Japanese cuisine on the go and it's menu includes sushi, appetisers and main meals. It is open year round throughout the day and evening and is centrally located in Ayia Napa, on Nissi Avenue, next to Zorbas Bakery. 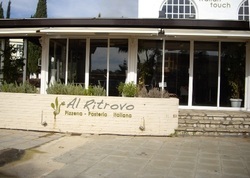 Al Ritrovo Italian restaurant is located on the Grecian Bay road, opposite Plus supermarket. It is just 5 minutes walk from the harbour and 10 minutes from the centre of Ayia Napa. It serves Italian food and pizza and is open daytime and in the evenings during the summer season. 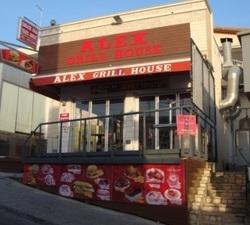 Alex's snacks serves fast food and takeaway and is located just off the main square in Ayia Napa. It is open during the summer months. Amante is a lifestyle venue located just on the Eastern edge of Ayia Napa by the sea caves. 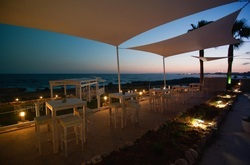 With stunning views across the Mediterranean this is a great spot to watch the sunset over a meal. Weekend nights are especially busy with regular special events and guest appearances. Very popular with local people, Amante is off the usual tourist trail. Ambeli tavern is set in an old authentic Cypriot house just a couple of minutes walk out the top of Ayia Napa's main square. It serves Cypriot food and meze and is open in the summer months in the evenings. American Grill serves American style food including burgers, ribs and steaks. Located on Nissi Avenue right in the heart of Ayia Napa, this restaurant is open during the summer months in the evenings. 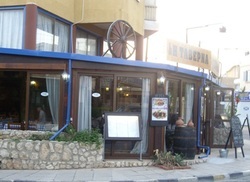 Andreas Taverna is located on the top road, close to the Senator Apartments in Ayia Napa. It serves traditional Cypriot food and meze and often has live music. It is open year round. 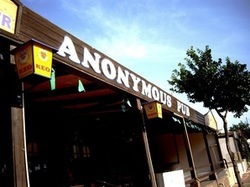 Anonymous pub serves a mixture of Cypriot food, international dishes and pub grub, and is open for breakfast, lunch and dinner during the summer months. Located on the main strip in Ayia Napa, (Ayias Mavris), Anonymous also shows sporting events and UK TV shows such as X-Factor. 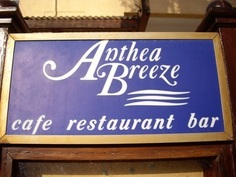 Anthea Bar is located at the Anthea Apartments on Nissi Avenue, Opposite McDonalds and is open for breakfast, lunch and dinner throughout the summer months. Apple restaurant serves Cypriot and international food and is located on Nissi Avenue in the Nissi Bay area of Ayia Napa. It is open for lunch and dinner during the summer. Aragma Cafe is located at Ayia Napa harbour and is open for breakfast, lunch, dinner and snacks throughout the day. It is open all year round.